I've recently been on a mini figures spree having ripped mini figures from The Simpsons, Star Trek and even Portal. 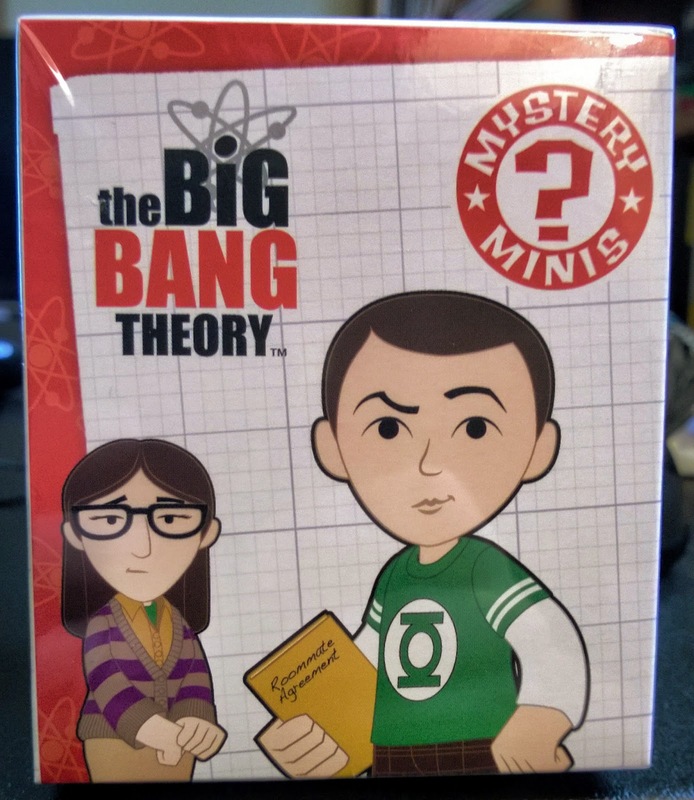 This evening the trend continues as we have a "mystery mini" from the most popular show on TV, The Big Bang Theory. This pack was $4.99. 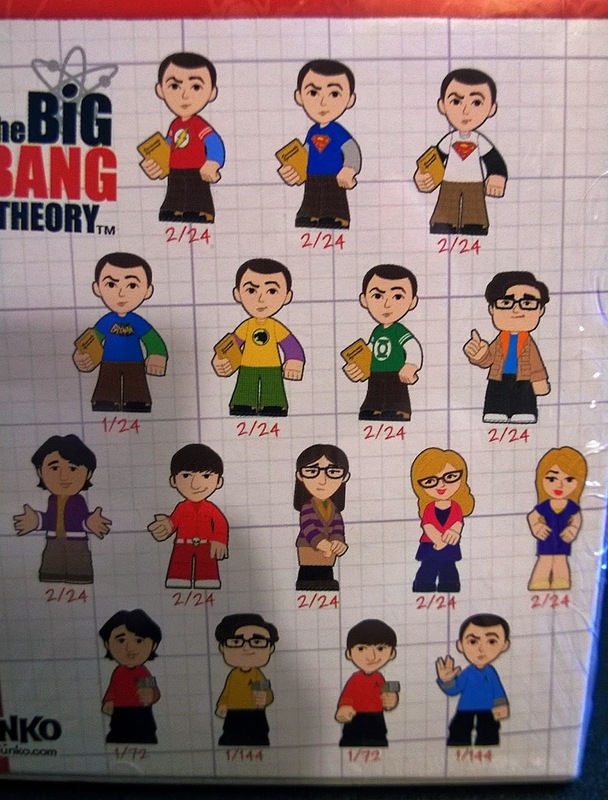 My odds of getting a Sheldon Cooper character are overwhelming with the odds of getting a Sheldon/Spock or Lenard/Captain Kirk are only 1 out of 144. I imagine if I pull one of the female characters my wife will end up with and if I pull a Sheldon I'm hoping for Green Lantern. 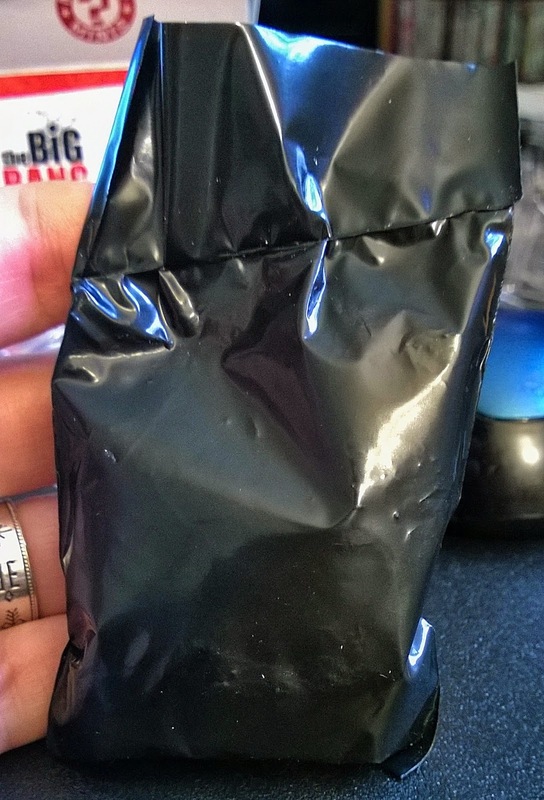 After opening the box the figure is sealed in a black garbage sack. So what did I pull. 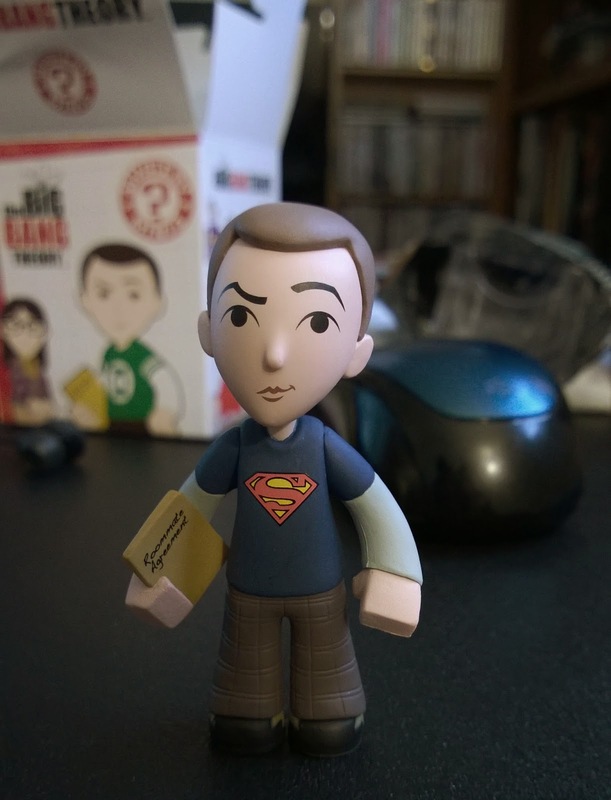 My box fell like the statistics said it would, a Sheldon figure. I ended up with the Superman version with the blue shirt being much more navy than the picture on the box. You may also note the detail that he is holding the roommate agreement in his hands. Dang!! $4.99 is cheap! they are $5.99 + here on the east coast! If you are interested in a trade, that Sheldon is 1 of the missing versions from my set, I'd be willing to send you the Green Lantern version for him... If you happen to buy more, and get a Raj figure, I'd be willing to trade for it as well.